What is The Lost Generation?? 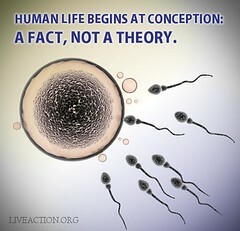 Life Training Institute …Learn to articulate the pro-life message! 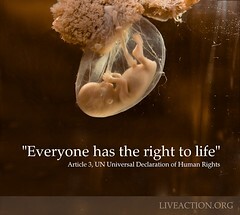 Pro-Life Commercials …Sponsor pro-life commercials in your area! Why Pro Life? …Order the book now! First, I hope you’ll find inspiration that even one action on your part CAN make a difference. Current new stories about the pro-life movement…sometimes given through the perspective of our opposition. After all, their own admissions are often the most telling. Ideas on exactly how to volunteer for a pro-life campaign, how to get your church involved, and how to reach out to the community around you. My goal is to share very practical ideas like…how to write a letter to the editor, how to talk to your pastor, how to find events in your city, etc. I’ll be sharing sample letters, handouts, and more. Lessons I learned as I worked as the spokesperson for Colorado’s first Personhood campaign in 2008. 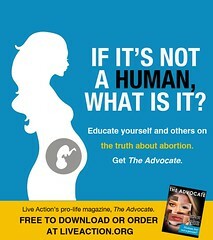 Pro-life resources so that you can know what you’re talking about and how to say it in a common sense, creative way. A presentation of pro-life leaders and the work they’re involved in so you have more options of where and how to get involved yourself. I’ll be sharing famous and not-so-famous people with you. 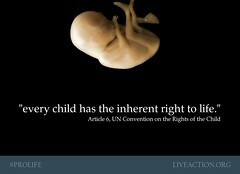 Controversial issues within the pro-life movement discussed and analyzed. No worries…most posts will be short and easily readable. Not all, but most =). Again, I pray that you will find inspiration to continue speaking out for those who have no voice of their own. As we humbly work with a heart of compassion, I believe that this world will see the love our Savior gives us and that they, too, will choose life. I’m not ashamed to say that I’m a Christian who loves Jesus. Without the strength my Savior gives me day by day, I could not be a part of this fight. He gets all the glory and all the praise. I love my Jesus, and I know that He loves me. Because He’s such a big part of my life, and in fact, my reason for living—you will see Him on this blog often. If you don’t know Him personally as your Savior, I pray that you will be driven to seek Him yourself. For anyone that seeks Him, He promises that you will find Him.